In his debut novel, Jack Carr has written a thriller about what happens when disaster strikes while protagonist, James Reese, a United States Navy SEAL team commander, is on his final deployment. His entire team is wiped out in a well-planned and deadly ambush that seemed orchestrated. Carr knows what he’s talking about given his own long work with the military – serving as a Navy SEAL himself – and that experience shows. Carr is a pseudonym, which is explained in my interview with Carr below. As Reece unravels the conspiracy that brought about the deaths of his teammates, he discovers that corrupt elements in the federal government, the financial sector, the pharmaceutical industry, as well as military leaders in his own chain of command are behind the attacks. Using tactics learned in his years in the military he goes on a mission of vengeance. 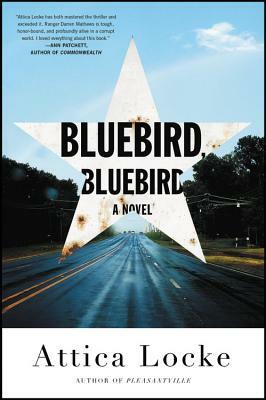 While a fictional story Carr draws from lessons and emotions, including frustration, he experienced during his 20 years as a Navy SEAL. Carr set out with this book to do what so many novels about the military don’t do, namely get all the information correct. Scott Butki: How did you come up with this story and how much of it is fact, how much fiction? Jack Carr: It is 100% fiction but there are elements that ring true because the emotions that James Reece, the hero of The Terminal List, feels throughout the course of his journey come from emotions associated with real world experiences I went through in the SEAL Teams. The guns, gear, knives and equipment are all things I was personally familiar with. James Reece thinks through how to accomplish his mission in a way that someone with a background in special operations would approach the planning process. Conspiracies sometimes have a hint of truth, and sometimes are exactly that – conspiracies. The Church Hearings in the late 70’s exposed gross abuses of power by federal government agencies in violation of the Constitution and Bill of Rights. The Terminal List draws on those abuses as inspiration for a modern conspiracy involving our most elite special operations soldiers. SB: How did you research this book? I ask because I’m assuming your background as a Navy SEAL team leader on four continents, provided some of the fodder as you prepared to write this debut novel. JC: I always loved thrillers where the hero had the background to do extraordinary things. Being able to effectively utilize weapons takes time and dedication. Being able to fight effectively takes time on the mat or in the ring. The “research” really took place examining how I felt about certain events that transpired during my time as a SEAL and then applying those emotions to James Reece in the novel. SB: As a former Navy SEAL you had to get the military censors to approve this. Was that a frustrating experience? How much did you have to change? Did you write it knowing that some parts might be flagged? JC: I went into it expecting a frustrating experience, but the opposite ended up being true. I went through a law firm so there would be some separation between me and the Department of Defense, and because the regulations and directives surrounding pre-publication for those that have formally held security clearances can be confusing if you don’t have a law degree. I just wanted to make sure I honored my commitments and did it right. I was extremely careful throughout the writing process to not compromise anything that could have an adverse effect on national security or my brothers still actively engaging the enemy downrange. I was surprised when the Department of Defense amended the novel by taking out a few sentences, including some written by my writing partner who has never been in the military. Be that as it may, I am not the arbiter of what is classified and what is not, so I kept the redactions blacked out in the novel. SB: Why did you decide to write under a pen name? JC: I was fortunate enough to spend some time with Lee Child before I submitted the manuscript to Emily Bestler at Emily Bestler Books. It wasn’t quite finished, but it was close. Lee could not have been more generous with his time and advice, making me feel like I was already a member of the club of scribes. One of the things he told me really stood out. He said, “I love your title, but you need a pen name.” He went on to tell me how he picked his pen name when he started writing the Jack Reacher series and he recommended I choose a pen name that had short first and last names and that the last name start with a “C.” I figured I would be wise to take his advice. SB: I’m always, as a long-time writer myself, curious about how authors organize books with a writing partner, in this case Keith Wood. How did you two divide up the work? JC: It was such an amazing experience. Keith has been a dear friend for years and we both shared the dream of someday writing novels in this genre. Someday ended up being my transition from the military. We collaborated on every step of the process, from developing an outline, to divvying up chapters, to editing each other’s work, to talking though challenges that James Reece would have to overcome while creatively working our way to a solution. It’s an incredible partnership that has led to an even closer friendship. 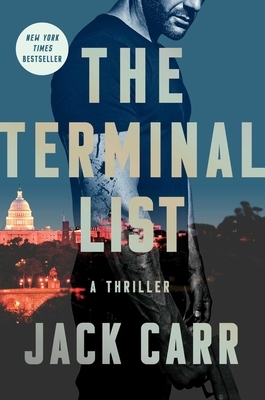 SB: How do you feel about Guns and Ammo, in this piece, http://www.gunsandammo.com/books/the-guns-of-jack-carrs-the-terminal-list/?utm_source=rss&utm_medium=rss&utm_campaign=the-guns-of-jack-carrs-the-terminal-list – , using it to publicize some of the guns mentioned in the book? I came across it while googling for reviews of your book. It was one of the most creative ways I’ve seen a magazine report on a novel. JC: I thought Guns & Ammo did a great job. In the military I was always interested in what was being developed by the private sector that might make us more effective and efficient on the battlefield. I feel extremely fortunate to have strong connections to the outdoor and tactical industries and have been overwhelmed by the outpouring of support for the novel from those sectors. SB: The final paragraph of your preface says, in part, “The consolidation of power at the federal level in the guise of public safety is a national trend and should be guarded against at all costs. The erosion of rights, however incremental, is the slow death of freedom.” Can you be more specific? I wasn’t sure if this is a response to current and/or former presidents or was more of an objection to actions by the government in general. JC: It is an observation, and something American citizens, as a free people, should study and ponder. We were given an incredible gift from the generations that preceded us. I worry the comforts we enjoy today are leading to complacency and we may squander the gift of freedom we were entrusted to guard and pass on to our children and grandchildren. SB: What do you hope readers will take from this book? 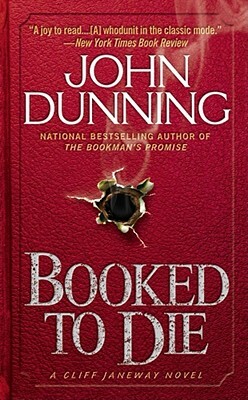 JC: I want readers to join James Reece on an exciting ride, connect with him over his devotion to family and country, get a glimpse into the mind of a special operator who is surprisingly human, and perhaps give more thought to encroachments on personal liberty in exchange for the promise government protection. 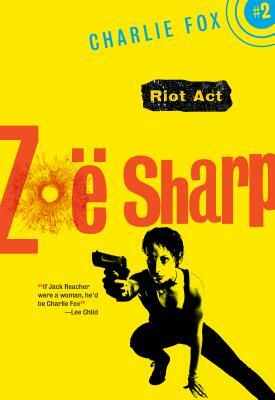 SB: The publicity material for this book included this comment: “The book is an adrenalin fueled revenge thriller that makes Charles Bronson’s Death Wish look like a G rated cartoon. It will excite and infuriate and lifts the genre with its raw authenticity.” What’s it like to read those kind of comments about something you wrote? JC: I hadn’t seen that, but my first reaction is one of amazement and gratitude. It’s exactly what I was going for as I explored the theme of revenge without constraint. What would allow a person with the training, experience and means to unquestionably dismantle and destroy the people involved in a conspiracy that took everything from him? To me, it had to be more than just not having anything left to live for. To do it right, this character would have to think he was already dead. How that comes about is one of the central elements of the narrative, so I will leave that for the reader to experience.